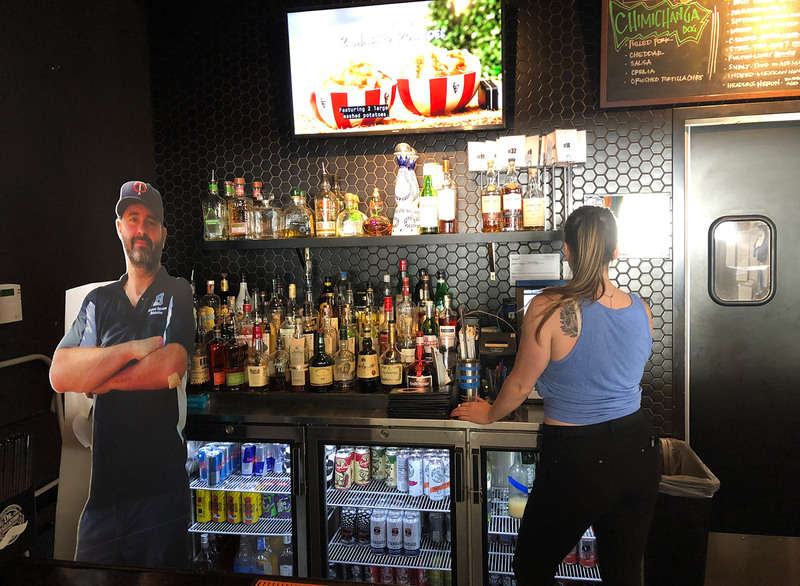 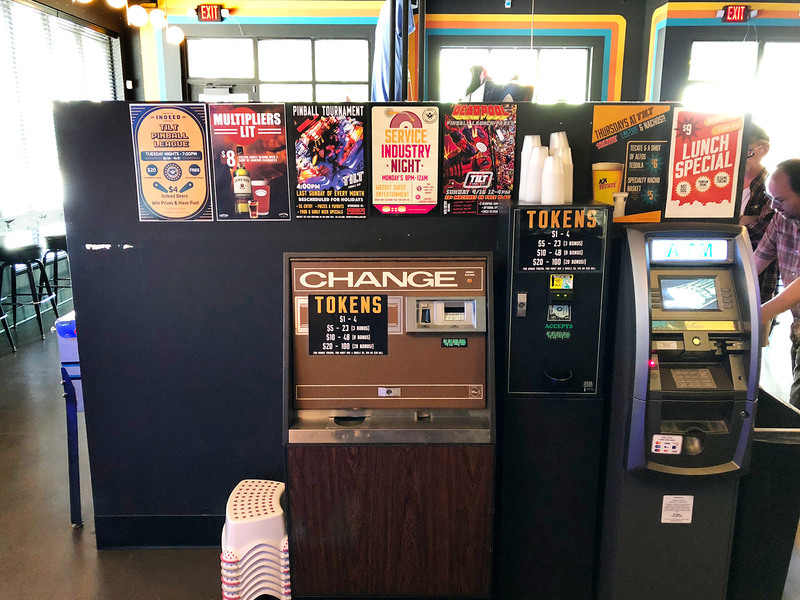 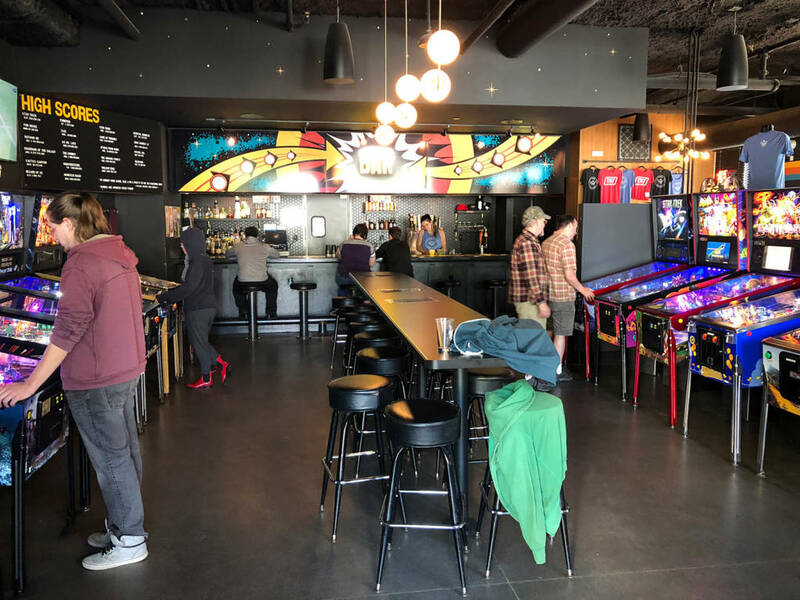 The following is one example of what is growing increasing popular in metropolitan areas in the US; Barcades – the crossover between bars and arcades. 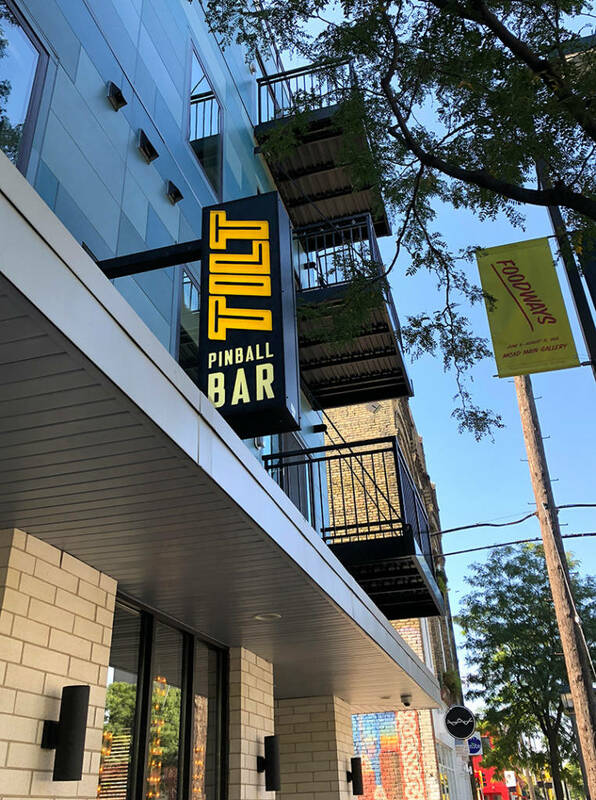 In Minneapolis, Minnesota is a specialty bar/pinball arcade called TILT – Pinball Bar. 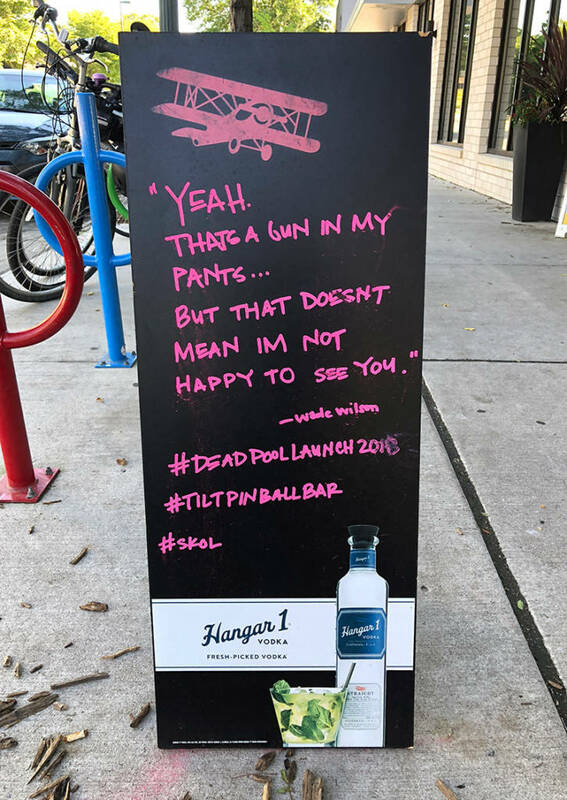 We paid them a quick visit. 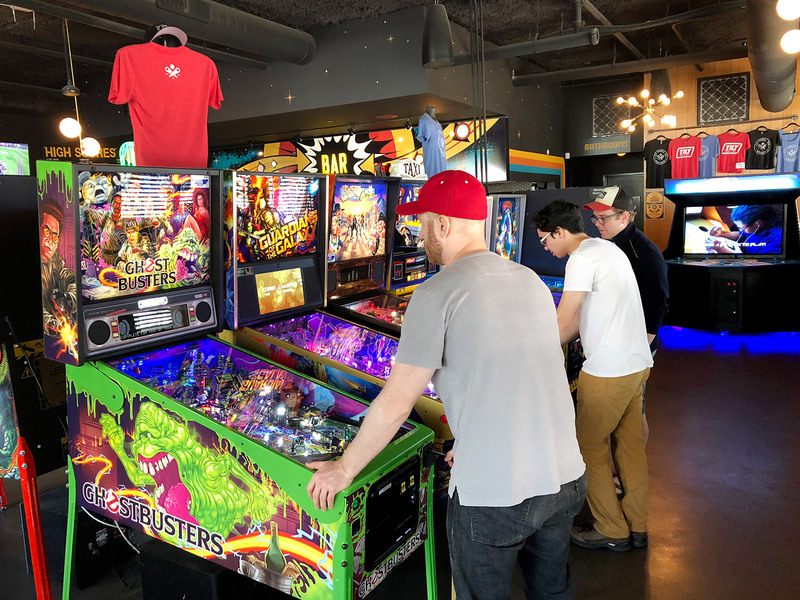 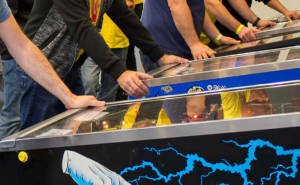 We backed up to view TILT – Pinball Bar. 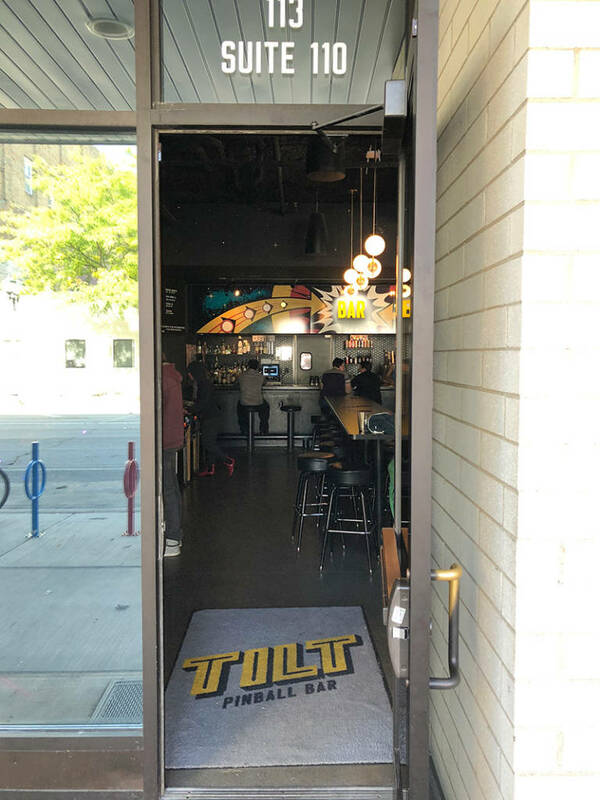 Tilt is open from 11am to 2am daily. 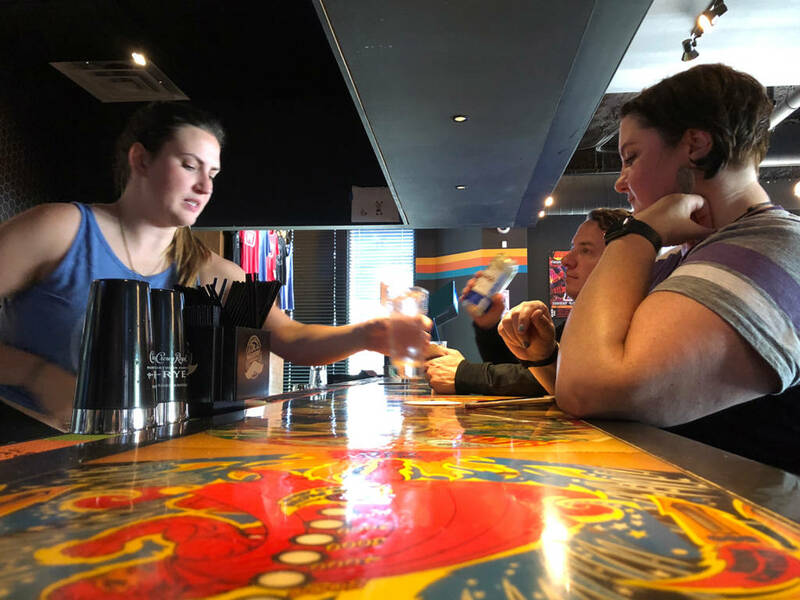 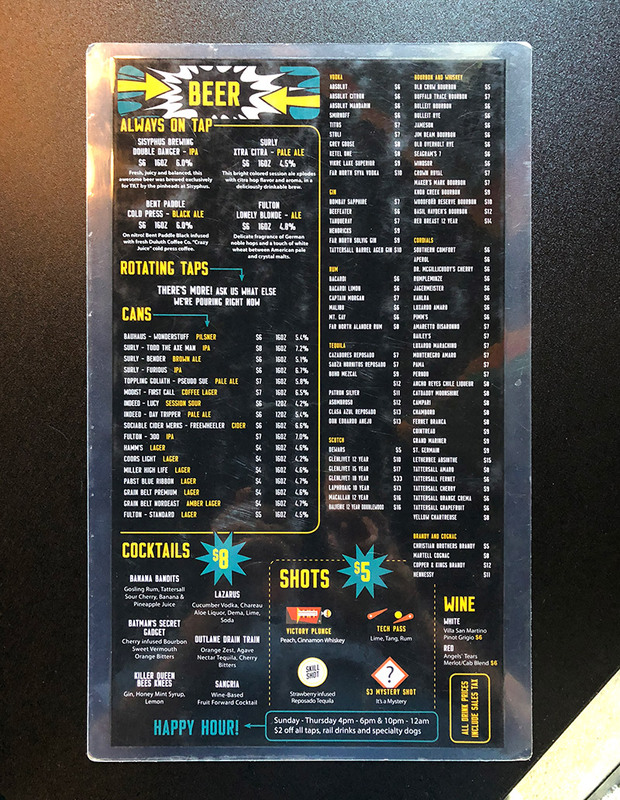 We didn’t meet with the owner, John Galvin, or his business partners in Tilt, Jasha Johnston and Carrie McCabe- Johnston, however we were taken care of by our bartender/hostess/server/waitress. 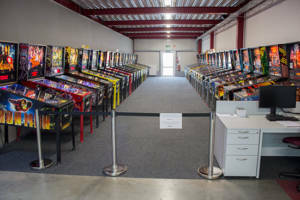 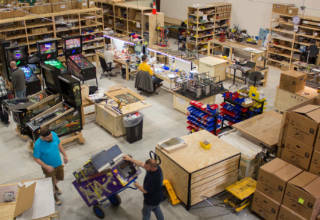 The majority of the space is filled with pinball machines. 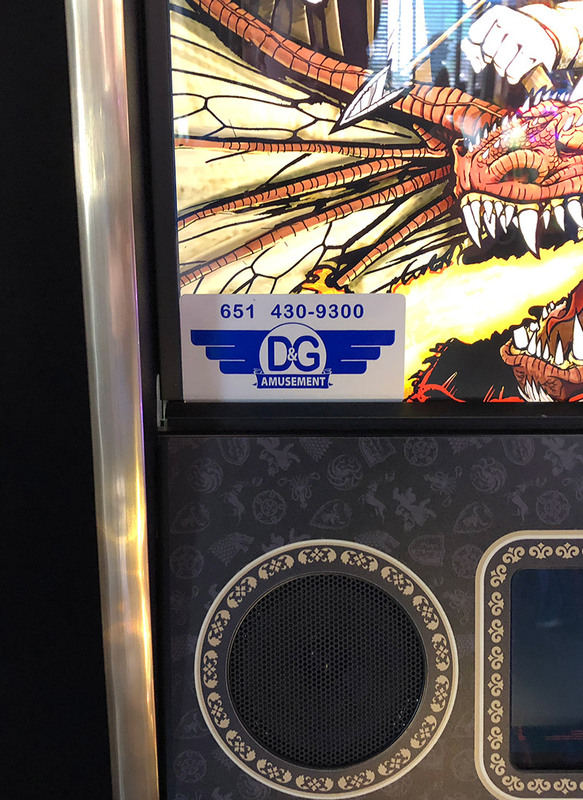 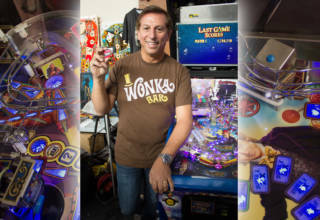 The pinballs at TILT are provided by the primary owner of the business, John Galvin, who also runs D & G Amusement. 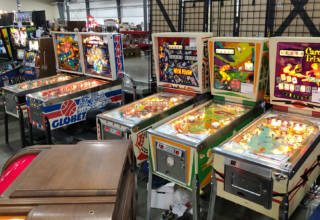 With the games set for route play, they were all in great condition and priced at two tokens ($0.50) per game. 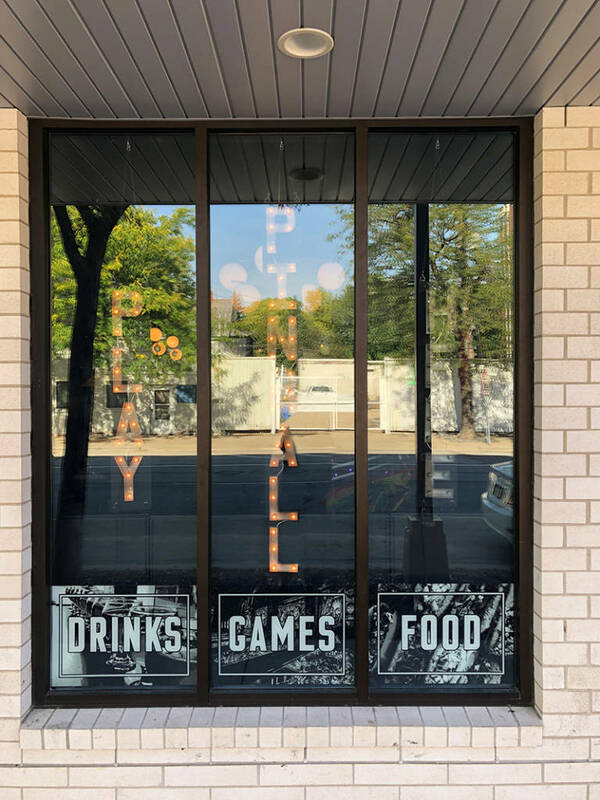 We only had time to play a few single-player games, so we don’t know multiple game pricing. 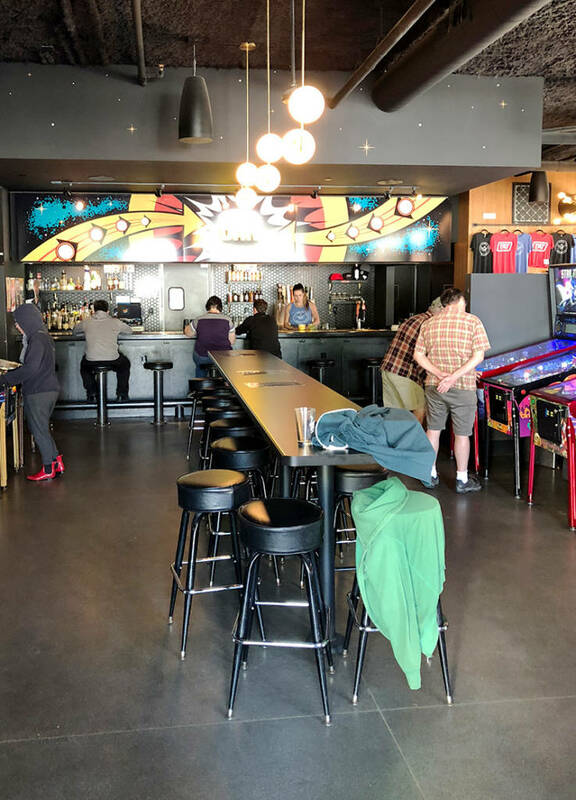 There is ample seating in the pinball area and a full-service bar up front. 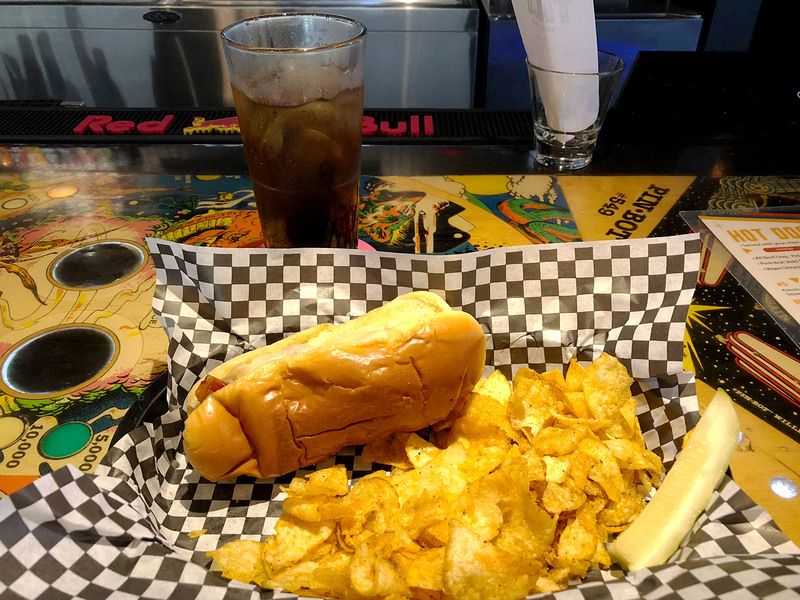 As well as beer and pop, hot dogs and sandwiches are on the menu. 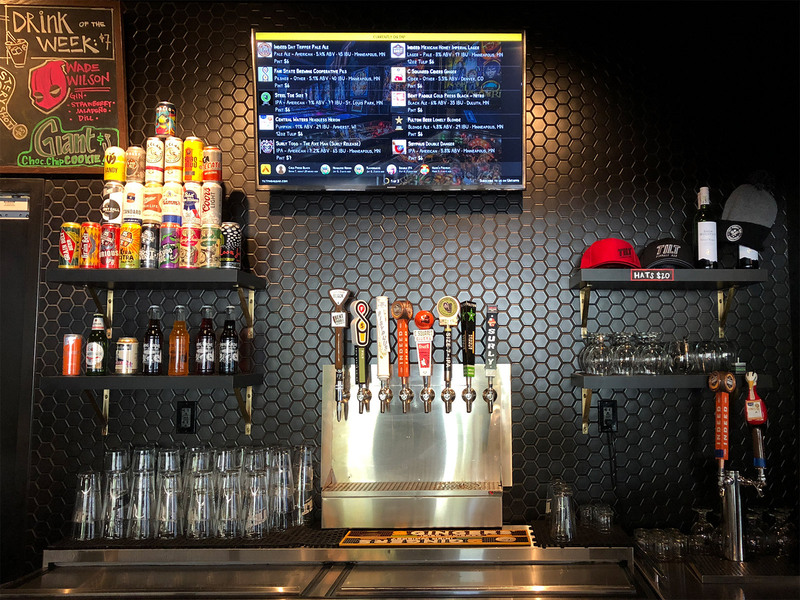 Besides the full-service bar selection, many different specialty local beers were available either canned or on tap. 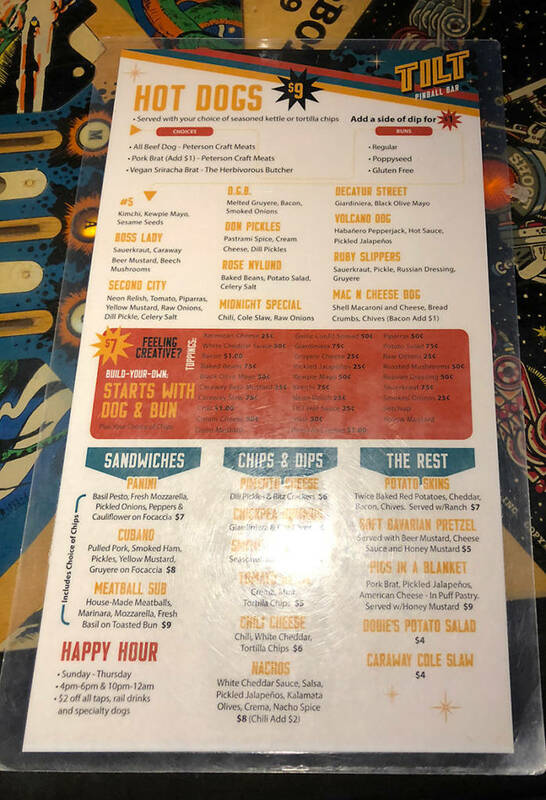 Many come for the hot dogs. 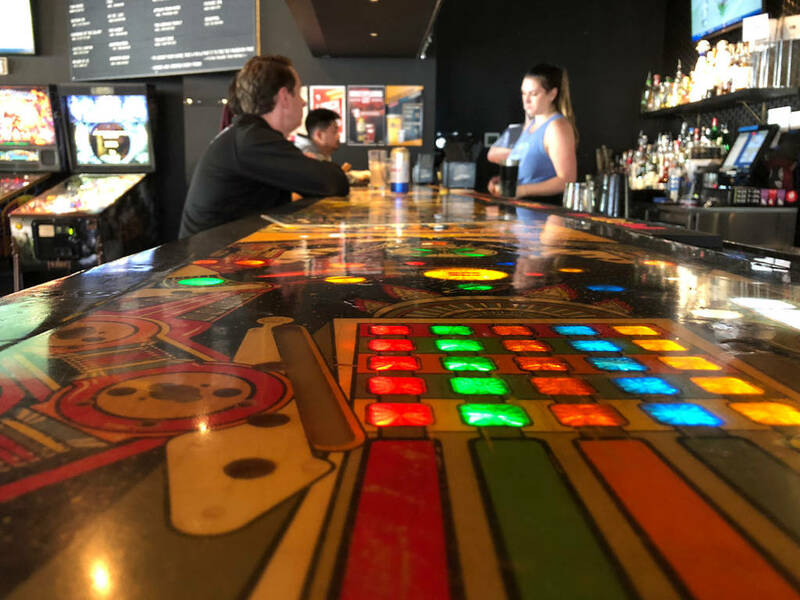 The bar-top is even made from backlit old pinball playfields. 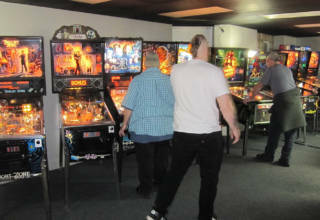 Back to the reason we visited; pinball, of course! 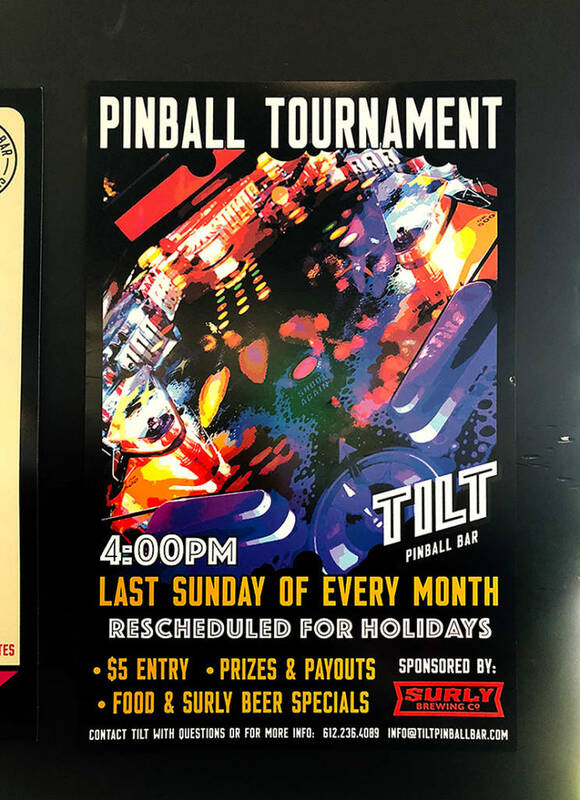 Though we didn’t participate, the owners run both a pinball league and tournament. 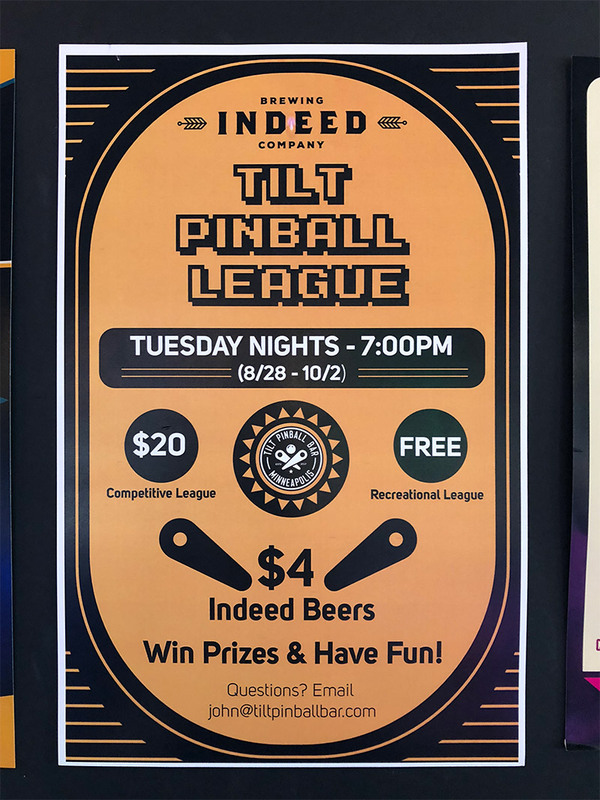 The league is six weeks long. 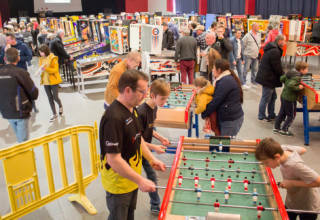 The tournament is held the last Sunday of every month. 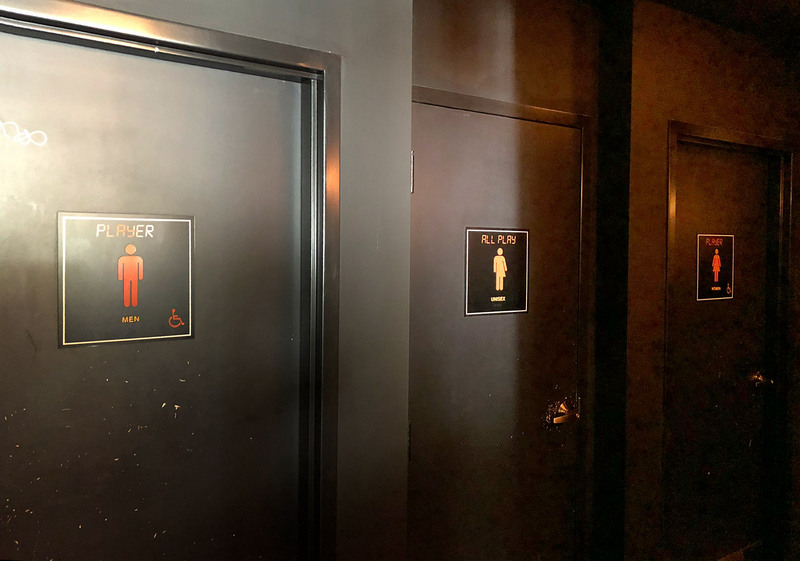 There are unisex and dedicated bathrooms. 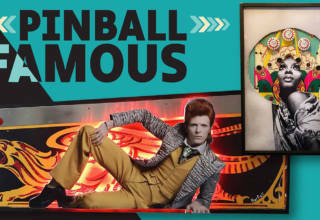 The inside of the men’s bathroom is decorated with a pinball theme. 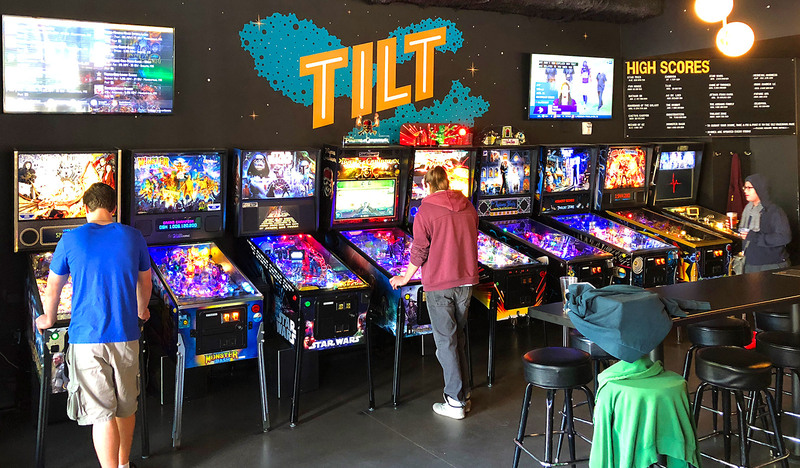 TILT is not some seedy, dimly-lit, backstreet pinball dive bar. 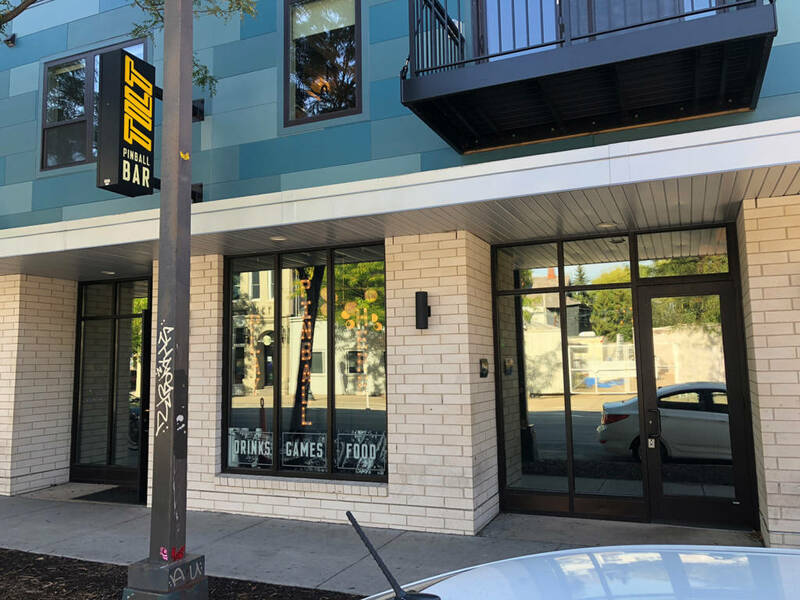 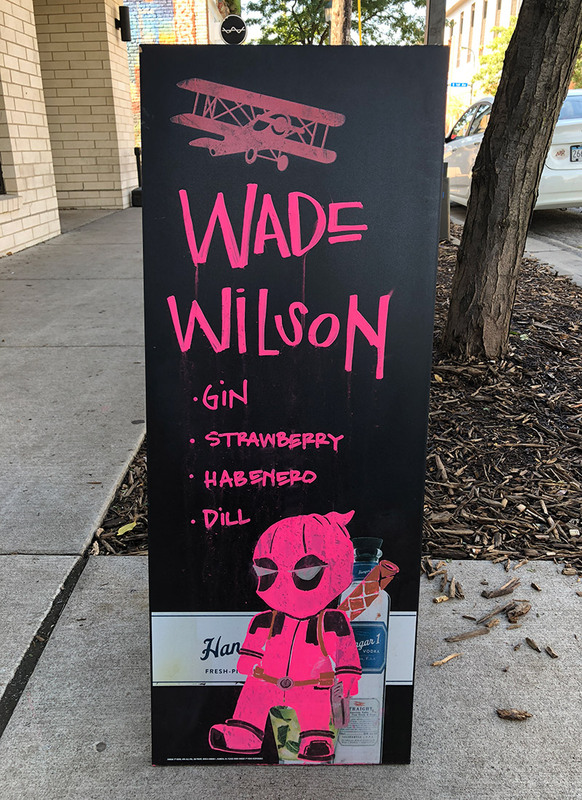 It is modern, airy and clean with specialty local crafted beers at expected prices, centrally-located in midtown Minneapolis. 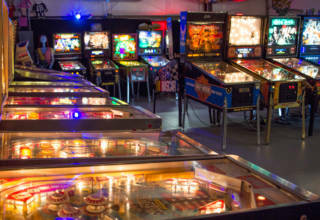 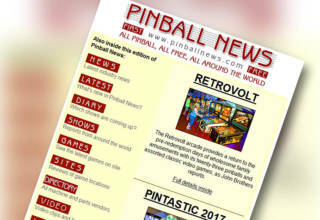 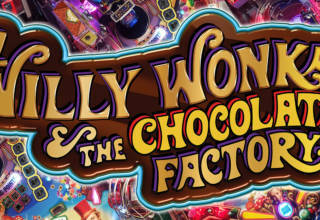 With the many new and premium pinball titles, we will be sure to visit again soon.